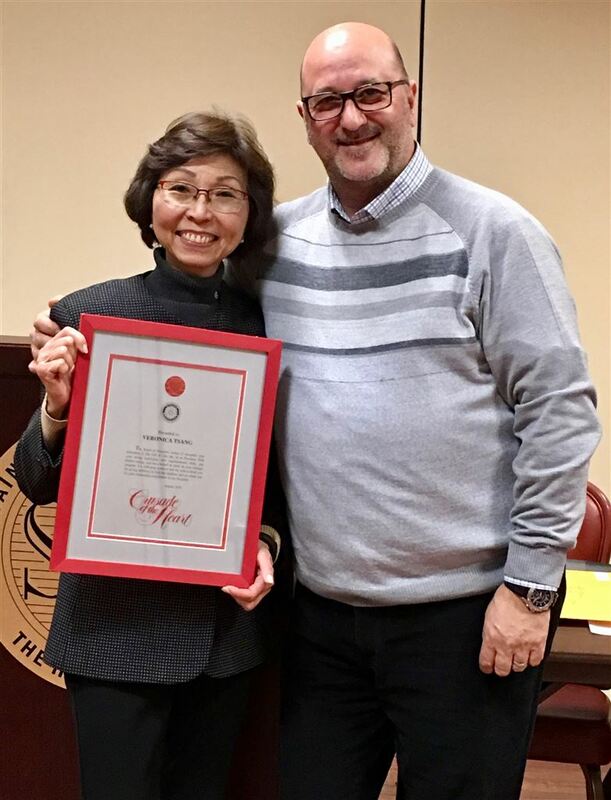 Francesco Di Marco, President of The Gift of Life, Inc. presented an award to Past President Veronica Tsang at The DeMatteis Center for Cardiac Research and Education in Greenvale, New York. "The Board of Directors wishes to recognize your dedication The Gift of Life, Inc. as its President. With your strong leadership, able organizational skills, and tireless energy, you have helped us build an even stronger program. It is with deep gratitude that we wish to thank you for giving selflessly to help the children, and we salute you for your outstanding contribution as our President."